It was with some concern that we read the text setting out the Beach Byelaws that are to be introduced by Dunlaoghaire Rathdown County Council on 24th July. The ISA, as the National Authority for recreational boating activities in Ireland, made a submission to the Council on 24th September 2007. 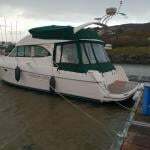 Within the last three months out Motorboat Development officer made contact with the council to offer his services in the development of any byelaws. At that time he was specifically told that no progress had been made with the byelaws. The ISA is engaging with a number of local authorities with a view to developing considered and appropriate management strategies for their water based recreational amenity. To this end we have developed and published guidelines for use by these authorities and made available to them the services of the ISA’s Motorboat Development Officer. Considering the worth of water based amenity to the community served by your council, is regrettable in the extreme that you did not avail of these facilities when developing the byelaws now published. Furthermore, as an national organisation which made a submission as part of the consultation process we consider that it would have at the very least been common courtesy to ask us for views on the amended drafts before they were passed by the Council. Unfortunately, you now have byelaws which we consider to contain significant technical flaws and unconsidered ramifications for your constituents. We have set out below our concerns regarding the byelaws. These involve the two main principal’s of safety and access. Some of these were covered in our original submission others are new arising from changes to the byelaws since consultation. On a number of occasions the byelaws refer to “powerboats”. There is however, no definition of a “powerboat” in either the byelaws or the Maritime Safety Act 2005. Many types of boats carry engines which may or may not be their primary method of propulsion. In the absence of such a definition, all craft carrying or indeed using an engine may be considered as powerboats. This widens the scope of these regulations significantly as they will include sailing yachts, motor yachts, angling boats, commercial fishing boats as well as safety boats. Safety of Personal Watercraft (PWC) users. • Restricting the operation of PWCs to before 10am and after 7:30pm. This significantly increases the risk of the craft being operated or becoming overdue at dusk or in darkness. As started in our previous submission, we can see no logical reason to include time restrictions in the byelaws. • Requiring PWCs to remain 300m from the foreshore at all times does nothing to improve the safety of users and is a crude tool to use to try and lessen effect of these craft when used irresponsibly. A managed permit scheme where irresponsible users were excluded by withdrawn of permit to launch would be much more effective and safe. Operation of “Powerboats” within 300m of foreshore. There are a number of activities conducted by ISA affiliated organisations that currently use coastal waters within 300m of a foreshore. Many of these activities use or rely on motorised support craft. • Safety cover in support of non motorised activities including dinghy sailing, windsurfing and kitesurfing. • Powerboat training where there is a requirement to practice landing on and anchoring off of beaches and foreshore. 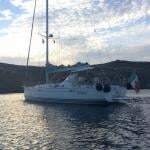 • Sail training in yachts with auxiliary engine where there is a requirement to practice anchoring in shallow waters off the foreshore. Inclusion of Dalkey sound in powerboat exclusion zone. In the context of points made above, the inclusion of Dalkey Sound and the passage between Dalkey Island and the Muglin rocks in the exclusion zone is unacceptable. Both passages are commonly used by people travelling up and down the coastand we can see no reason that these two important navigation channels should be out of bounds to any craft. Due to strong currents the areas is far too dangerous for unattended swimmers. The area is also commonly used by scuba divers who will now be excluded as they cannot access the area by boats. We recommend the use of the National Small Craft Register being implemented by the ISA. This system provides a national identification number for use on all types of vessels. The system will shortly have online access for Permit Issuing Authorities (PIAs) allowing organisations like yours to look up details for craft and registered keepers 24/7. We would be happy to provide further details. We recommended that these people should carry, and be required to show, a standard “warrant card” or other form of identification indicating their identity and status. This would also be necessary in order to facilitate the pursuit of grievances with regard to implementation of, or conduct of those implementing, these byelaws. Reserved Bathing areas need to be identifiable and should be marked with buoys according to international standards. Again we cab provide advice on this. There is currently no facility within the byelaws to appeal the Councils refusal to issue a permit or where a permit has been withdrawn. We recommended that an appeals mechanism must be added in order to provide protection for individuals and organisations within the jurisdiction who feel that they have been treated unfairly. Owen Keegan, County Manager, Dun Laoghaire Rathdown County Council. Chris Reynolds, Director, Irish Coast Guard.